BetOnline, the Platform for Binary Trading and Casino Games! We rated BOL Financials’ bonus section with a high score of 95/100 because of the generous bonuses that are available. As for the trading software which is very user friendly, it lacks any extra trading tools which are normally standard on most binary options trading platforms. Due to the lack of extra trading tools, we awarded a modest score of 70/100 for the trading software. For customer support, BOL Financials scored a modest score of 70/100 due to the lack of live chat support. Because of the wide selection of option choices, we rated its options choice section with a high score of 85/100. An offshoot of BetOnline, one of the world’s leading online casino and sport betting sites, BOL Financials was launched as a portal to introduce binary options trading to the online gambling community. BetOnline is based in Panama and was set up primarily as a gambling website. However with the establishment of BOL Financials, U.S residents now have the opportunity to get a feel of what it is like to trade European style binary options legitimately and without the fear of been scammed. Open to traders from all over the world, BOL Financials is geared towards the casual binary options trader that does wish to struggle with the complexities of financial trading. 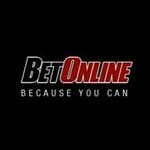 Founded in 1991, Betonline is a Panama based online gaming site. The company started off offering online poker gaming to the gaming community. Today, it has expanded its offering to cover casino games, sports betting and most recently binary options trading. Based on a 2006 Casino City Press report, Betonline is ranked as one of the top 60 online betting platform for 2006. As Betonline is a gaming site as opposed to being a financial service provider, its binary options offerings does not come under the jurisdiction of the U.S CFTC. In other words, Betonline is also permitted to sign up U.S players. The binary options trading platform offered by BOL Financials is a proprietary binary trading platform. It is geared towards the casual binary options trader and hence designed specifically to be extremely user friendly. Web based, the trading platform is accessible with any web browsers. 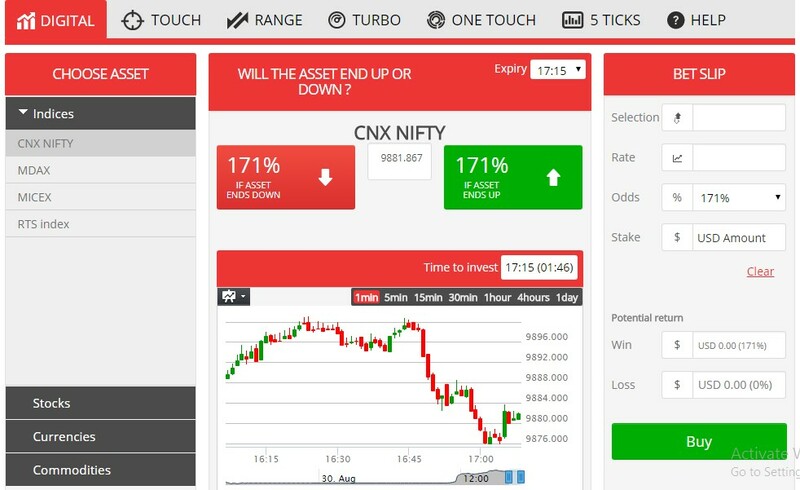 The trading platform allows binary traders to trade with 6 different types of options contracts such as 5 Ticks options Digital options, One Touch options, Range Options, Touch options and Turbo Options. Trading screen itself is easy to understand and is laid out in such a way that the chart is placed in the lower centre of the screen. The placement of the assets is on the left side of the screen. As for the trade parameters, they can be set from the right side of the screen. On the top centre portion of the trading screen are the buttons for deciding the direction of the trades. Below the trading screen, traders can check their transaction history as well as the insights of traders trading binaries on the BOL Financials’ platform. Nowadays, it is standard practice for binary options brokers to provide traders with the option to install mobile trading apps onto their smartphones or mobile devices. However in the case of BOL Financials, BetOnline has not made any provisions for mobile trading. This is possibly due to the fact BetOnline is a gaming services provider rather than a fully fledged binary options broker. Like most binary options brokers in the industry, BOL Financials does not charge any commissions on trades that are executed on its trading platform. The premium paid for the option contracts is all that the trader will pay on his investment. As for the payouts, this will depend on the asset as well as the type of option contract traded. Typically the return on investment ranges from 60% to as high as 240%. The account set up at BetOnline is totally different from what you would expect from a dedicated binary options broker. The account at BetOnline is not geared exclusively for binary options trading but also for other gaming products which BetOnline have to offer as well. Take note that there is a minimum deposit requirement of $20 each time you make a deposit at BetOnline. While this may seem like a hassle initially, this low deposit requirement means that nearly everyone can afford to trade at BOL Financials. As for withdrawals, the same methods used for making a deposit can also be used to withdraw funds from your BetOnline account. The payouts are processed daily from Monday to Friday starting from 9am to 1pm (ET). Since the gaming industry operates on a 24/7 basis, the customer support service at BetOnline is also available on a 24/7 basis. However, the main disadvantage of BetOnline customer support is the fact that the methods of communicating with the support team are limited to emails or the telephone. This means that if a BOL Financials’ trader needs to get in touch with customer support quickly, the only way is through by making a costly phone call using the support numbers provided. When it comes to binary options trading, BetOnline does not seem to have any educational resources for those who are new to binary options trading. The fact that there is some appeal in trading binary options with a gaming site such as BetOnline makes BOL Financials an interesting choice for a select group of traders. There is no denying that sometimes it is fun to be able to turn your attention towards something other than binary options. But if you are more than a casual trader, then BOL Financials may not be the right fit for you. The lack of educational resources and trading tools put BOL Financials at a disadvantage if we were to compare what it has to offer with other dedicated binary options brokers in the industry. Is BOL Financials a scam? No, BOL Financials is not a scam. The binary options trading platform is part of BetOnline, a leading online gaming website that has been operational since 1991. How can I deposit funds in my account at BetOnline? Payouts at BetOnline are processed on a daily basis from 9am to 1pm (Monday to Friday). What types of option contracts are available at BOL Financials?